Movie night at the “Can Do” Street Community Center is a big deal. The “Can Dos” get to go to a movie with each other, under the watchful eyes of their camp counselors. No parents, grandparents or teachers allowed! The movie starts at 6:30 PM every Friday night, during camp, and is over by 8:30 PM. Parents drop the “Can Dos” off with their counselors and pick them up from their counselors when the movie lets out. Each “Can Do” gets $1 from their parents on movie night. Admission is 75 cents and snacks are 25 cents. Well, last Friday’s movie night was a real test of friendship. When Arthur J. reached into his pocket for his movie money, it was gone. His mom had given him four quarters, since she didn’t have a dollar bill. Arthur J. didn’t know it, but he had a hole in his pocket and the quarters fell out somewhere along the way. He didn’t know what to do. He walked over to where his friends were standing and told them what happened. He was really upset. He didn’t want to miss the movie. Most of all he didn’t want to miss the fun of sitting with his friends and trading snacks. His friends were quiet for a few seconds, then Hector said, “If I give you my snack money, what will I eat”? Everyone giggled. They all know how important food is to Hector. Hector looked at Arthur J, who was nodding his head, agreeing with what Nellie was saying about how he would share if Hector didn’t have money to get into the movie. With that, all of the “Can Dos” each put their snack money together. Willie held the money, since it was his idea in the first place. Willie handed Arthur J. three quarters for the movie admission. Then they all went over to the snack table to decide what they could buy with the remaining five quarters. Bobby and Arthur J followed the sound of a hammer hitting nails to Grandpa John’s workshop in the basement; there they saw Grandpa John playing with a set of trains. They couldn’t believe their eyes! Grandpa John was running a set of trains on a long track and singing a song they had never heard before…something about a Casey Jones. The trains didn’t look like any trains they had ever seen. He looked so happy! These trains, like all Lionel trains are now collectors items. Lionel trains, were made from 1901 to 1969. They are known for how solidly they are constructed and how much they look like real trains from long ago. Why in 2006, Lionel’s electric train became one of the first two electric toys and the only trains to make the National Toy Hall of Fame. Arthur J and Bobby looked sad for a moment and wondered if, since they ruined his surprise, maybe Grandpa John wouldn’t let them play with the trains. Coach Campbell is in the “Can Do” Center equipment closet, working on some things that Willie and Nellie do not recognize. Hey Coach, what’s up…what-cha’ got there? Oh, hey guys, this…this is my hiking gear. Huh? Hiking gear – what is that?!? It is what I take with me, what I wear, when I go out hiking in the woods. I was hiking this past weekend, and I am just cleaning it up a bit so it stays in good shape. 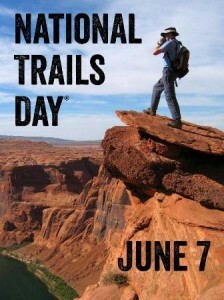 I also want to make sure it is “good to go” when I hit the trails again this weekend for National Trails Day. Hiking, you mean like walking around? Isn’t that…boring? Well, not to me it isn’t. Yes, it is walking. But, there is so much to see, and hear, that is far from boring. Plus, it is nice to get away from the hustle and bustle of the city, to go somewhere and be able to hear birds sing, and be able to hear the breeze rustle the leaves of a forest and to smell the clean, cool greenness of the air. Sounds nice. Can anybody do it? I mean, can we do it? You bet anyone can do it. That is one of the things that make hiking so great; you can start out young and do it for the rest of your life. It is timeless and ageless. Cool, so what kind of stuff do you have in your “hiking gear”? Well, let’s see. I have a first aid kit, some bug-spray and sun-block too. I also make sure I have two big bottles of water with me, especially since I am carrying water for both me and Delmar. Of course he does. He’s my hiking buddy. Oh wow! Does he have fun? He has a blast! He loves it. How does he drink this water though? I mean, dogs can’t drink out of a bottle, can they? Sure can’t, not without spilling about half the bottle anyway. No, Delmar has a little collapsible bowl I carry with me that he drinks out of. Now, let’s see. Oh yeah, I also have a compass. 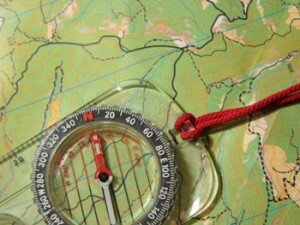 I don’t really need that when I am hiking local parks, but when I go upstate and get out on some long day hike trails, the compass is important to have with me, along with the trail maps too. 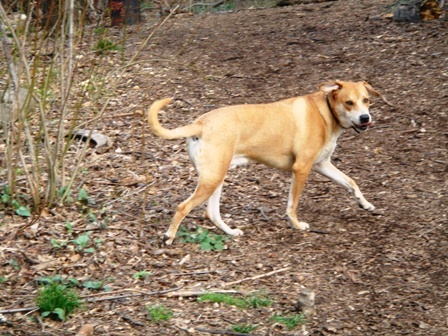 Last thing you want to do it to get lost, so making sure you know where you are on the trail is very important. You know how to use a compass? You can read a map? Why not just GPS, like in a car? Sure can, learned how to use a compass and read a map when I was in the Army. It is not that hard, and sometimes GPS doesn’t work, so you need to be able to take care of yourself without technology, just to be safe. Cool, you think you can teach us? Yeah, you think we could go on a hike with you? Well, sure. Why not. We will start out easy, with a walk through a local park one nice afternoon. Of course, we will have to have your parents/grandparents permission first, but I would love to take you guys out. Even me Coach – says Nellie…. Yes, even you Nellie. Hiking is totally OK for both boys AND girls. No problems there at all. COOL!! 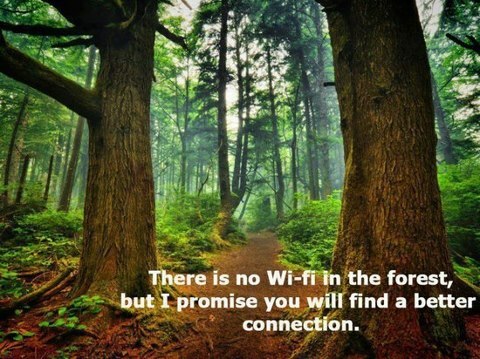 Anything else in your hiking gear? One last thing, a rain jacket and rain pants. Sometimes the weather can change real fast, and I might be a few miles from my truck, so the rain gear is important. Getting soaking wet is no fun. What about Delmar, what does he do when it rains? Story By:Ned Campbell, a coach and teacher in Brooklyn, NY. 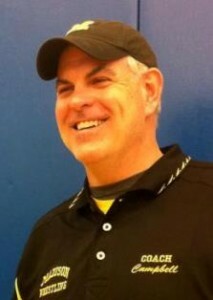 He is the voice of Coach Campbell in the “Can Do” Street programs.